The Magic Stretcher features 3 different settings to fully stretch and relieve pain in the lower back. Simply use for 5 minutes, twice a day for optimum results. The Magic Stretcher is designed to make stretching your back easy, safe, affordable, and enjoyable. Adjustable to 3 different levels, just fix it to the one that suits you the most, lay it on the floor for you to stretch or even put it on a chair when you're sitting for long hours! Size : 40 x 25.5 x 5 cm. Delivery times may vary quite a bit, anything between 2 to 50 days is possible depending on availability, destination country, location and time of the year. We make our best efforts to get the items delivered to you as soon as possible. The order is received. Use. Very satisfied. Thank You Very Much. Thank you! In spite of the package, the product came safely in just 2 weeks. 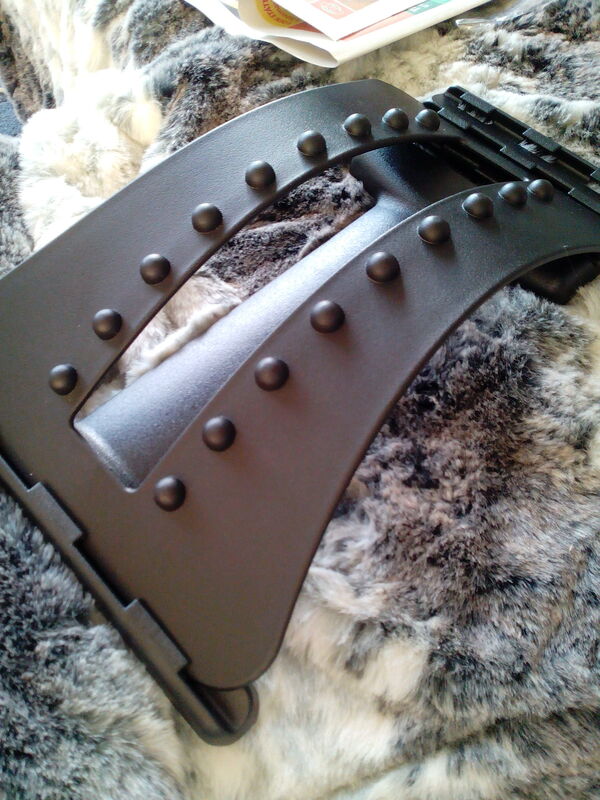 What I expected, fine-very durable plastic, for the first time do warm-up the minimum упоре top. Recommend those who need a little stretching for bottom of the spine. Yet for this product can not say anything. After test will add a review. Goods come quickly, all match the description.